The Premier Inn Dover Central is perfectly located for the ferry terminal. The hotel has the super comfy new generation bedrooms - featuring an impressive 40" flat screen TV, freshly-updated bathroom with large shower head, and brand new, slumber-inducing, king-size Hypnos bed - you'll be right on hand for the ferry or cruise ships. There is an onsite Table Table restaurant and free parking. Book direct for the best Premier Inn Dover Central deals. 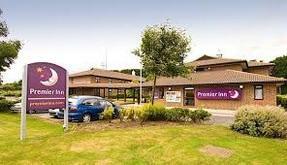 Situated just outside Dover the Premier Inn Dover East is perfect for business and leisure destinations across the South East, as well as the ferry terminals and Eurotunnel.There is an onsite Brewers Fayre restaurant and free parking available. Book direct for the best Premier Inn Dover East deals. In rural surroundings near the White Cliffs of Dover, the Premier Inn Hotel Dover (A20) is a great base for business and leisure trips, whether you're making waves or conquering castles. Handy for the ferry and cruise terminals, as well as the Eurotunnel, it is also a great base to explore the White Cliffs, Dover Castle or the Battle of Britain Memorial. The hotel has a Beefeater restaurant and free parking available. Book direct for the best Premier Inn Dover (A20) deals.